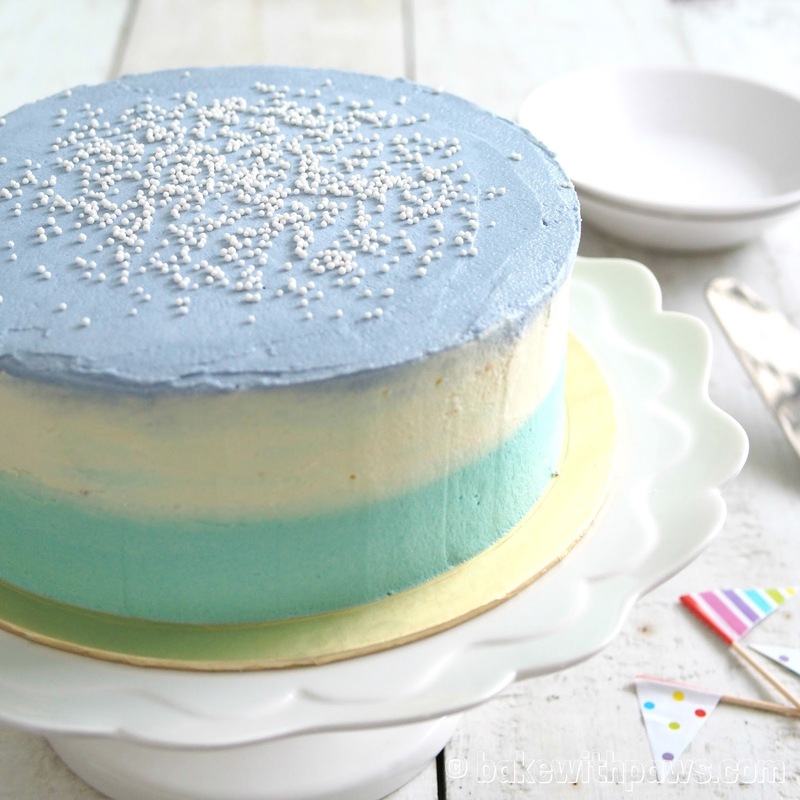 There are many ways to frost a cake and some may be a little challenging to execute. Ombre frosting however, is something I think most amateur bakers like me can handle as the finishing doesn’t need to be perfect. I baked this cake for my lovely sister in-law to celebrate her birthday. Please click here for Purple Sweet Potato Ogura Cake Recipe. I baked in 7 inch round cake tin instead. 1. In a stand mixer fitted with the paddle attachment, cream the butter on medium speed until it is very light in texture. 2. Add the icing sugar, vanilla extract and salt. Mix on a low speed until the sugar and butter are blended, scraping down the bowl with a rubber spatula as needed. 3. Increase the speed to medium and, with the mixer running, add the cream. 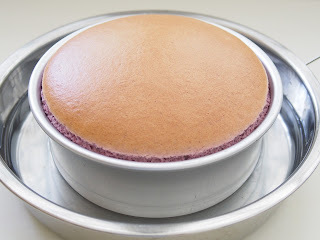 Increase the speed to high and whip the buttercream until very smooth, light, and a good spreading consistency. Adjust the consistency if necessary by adding a bit more icing sugar or cream. 4. How to apply ombre frosting on cake: Please refer to this video. Thank you for dropping by and trying this recipe. I hope your next attempt will be successful. Please let me know if any questions you have.